I drive my Vectrix VX1 LI with a LiFePo4 40AH Batterypack since end of September. Not long after I had to learn, that this kind of Battery has it's problems with temperatures below 20° Celsius. Since the LiFePo4 Cells have discharge minimum voltage of 2.0-2.3V I wonder if maybe there is something missconfigured. From what I have read in this forum I guess 2.7V is the usual discharge minimum voltage for 18650 Cells. No, the configuration is OK. The Cells should never bei discharged to 2.0V. That would not be very good for the cells. What is the Range of your VX-1 till you get 2.75V? Do you have the CAN-BUS Cable and Diag soft? I have my bike in a shed during night. It's not heated so during winter there is a good chance that the temperature is dropping below 0°C, That doesn't matter to me because in those temperatures I do not drive with the bike anyway. But as soon as the daily temperature goes above 10°C I'd like to drive to work with my bike, if the weather allows. This actually means the shed is still around 3-5° in the morning. So I started to heat up the shed in the early morning hours to bring the batteries to at least 14°C. The distance to work one way is 22km so both ways 44km. There are some little slopes along the way and one which is really though (10% for 1.5km). When the temperature is above 25°C I'm able to drive with about 85km/h top speed both ways with a bit of a drop before I'm back home. I don't know what the Battery voltage was at this time, because I didn't care then. But the last view weeks I started to check Voltage and Current while driving just because it was getting annoying to drive with maximum 65km/h to be able to get home with a somewhat reasonable speed. First the road now goes downhill quickly so the battery is able to regenerate a bit. After that the road is going upward steadily. Luckily there are some villages where you can't go faster then 60km/h by law. But after about 30km You could drive 80km/h if your vehicle does it. Unfortunately mine is not going faster then 70km/h at this time and the pace is decreasing the further I get. Every little upward slope is a pain. Sometimes I do not even get over 50km/h. The charging meter shows half/half when I'm back home. And I really think this could be true. My dealer told me everything is fine with the bike. I can't belief that. But why is the pace dropping so quick even though I don't get the battery light? I'm not that heavy though, just about 70Kg. So now you have a lot of text to read. I'm just unsure if there is something wrong that would explain the drop in speed and power. So everything that could be a hint would be very much appreciated. Sorry, but i think there are very few people who are really happy with the GP LiFePo4 cells ;-) They have very bad quality and most of them have very fast decrease of capacity. What is very curious with your Vectrix is, that the cells seems to be very well balanced because the voltages even on load doesn't drift very much. Did you ever drive it till it shows empty? What range did you get? Did you ever messure how much kWh you can charge into your vectrix with a normal electricity meter? Do you have the CAN-BUS cable to check firmware? How old is the scooter and how many kms does it have on odometer? To me that pack sounds like it has developed a very high internal resistance, which causes great voltage drops at high current draw, thus reducing the maximum speed. 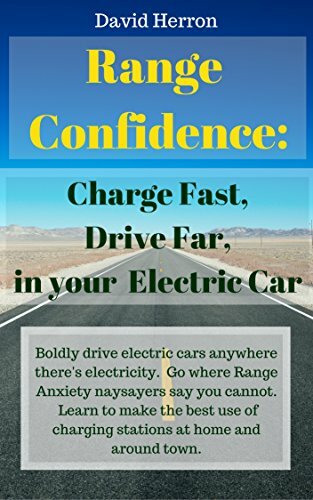 No matter if fully charged or almost empty. High internal resistance seems to be the main aging factor in LiFePO4 chemistry - actual capacity drop comes in second place only. That voltage drop on high current is normal with these GP cells. I have the same voltage drops, but the Vectrix can still be driven with full power! Maybe this is because of high internal resistance but if than all of my cells have this too. So then you think, the power drop is not only because of low temperature? So do I! Unfortunately I do not have a CAN-Bus Adapter Cable but I guess it's time to get one. I bought the scooter last September. And short after that I startet to realize those strange behaviours. So I took it to a reseller to have it checked. But they tell me everything is fine with the bike. The bike is a 2008 Vectrix originaly with NiMH battery pack that was modified to LiFePo4 in 2015. The Odometer now shows ~40200km, the battery age though is around 2.5 years. It comes from a showroom bike and may have around 10'000km on it now. Maybe the conversion was not done properly. When I drove with it to the reseller it was about 60km the battery light did not turn on but the top speed when I arrived was 25km/h. I believe to remember that it showed arround 2.5V low or high cell voltage. Unfortunately I can't remember the overall voltage. That really sounds very strange.... The range and voltage drop is OK for an Li+. For sure, the voltage drop on high current is lower on higher temperatures, but it still is very high in comparison to good cells (as mentioned the GP Cells are not good even if they are new). But what is really strange is that reduced power and speed. I can remember that was something the NiMh bikes did, but not the original Li+ ones. Maybe the bike still has an old firmware from the NiMh version? Don't nknow if that is possible, but i can't imagine any other reaseon for this behaviour. For sure the only way to find this out is the usage of the Can Cable and Vectrix Diag. Not a Vectrix, but my scooter with 24, 60AH, 7-year old GBS cells (LiMnFePO4) used almost daily for 3/4 of the year, has some performance degradation but will still maintain 75 kph up a moderate hill at a temperature of 0C or a little below. I don't know what their voltages are going down to under load - presumably 2.5 or lower for the worst cells but going back to at least 3.2V at rest and 30-50% SOC. So, you can count me in that minority that is happy with Chinese LiFePO4 performance. I'm not looking for blazing speed. With what I know now (don't charge to full unless you absolutely need the range or to balance the cells a few times a year!) I can probably extend the life of a new pack with the same cells indefinitely. The main problem has been the charging resistance has gotten very high with age when charging below 10C (poorly heated garage), causing premature switching from high CC charging mode to low current "balance" mode and very long charging times. And the hoped-for price decline (in the USA) has never happened. Replacing the 4.4kWH pack is still about $2200! With 75km/h uphill I would be happy! On my way home on Friday I could not drive faster then 75km/h on a flat road. I ordered now an electricity meter. It should arrive on Thuesday. Then I will see how much Energy it charges. I also will buy the PCAN-BUS Adapter but it has to wait until next month. When I took my Vectrix to the garage end of Novemeber, I drove 62km one way. At the end I was driving with 20km/h on flat road but the battery lights did not display. Anyway... I will update as soon as I got results from electricity meter and later from the informations I get from the Firmware. Thanks to all for the feedbacks. Yesterday i did a ride with live Dashboard to have a look at my cell voltages. With 7 bars left i got about 2.75 lowcell and 2.9 highcell. Overall voltage was about 114V, Load about 60 to 80A. With less load (about 20-25A) the voltages rised rapidly to 2.95V and 3.10V, overall about 122V. With no Load the voltages go to 3.16 and 3.20 and 127V overall. today I received the electricity meter. so let's see how much energy it will charge today. I'm glad that the weather is quite good this week. That helps a lot because the bike has much more power now. as soon as the overall voltage goes to 110Volts the power reduction starts. When I'm back home, the bars show 50%. Today it was about 55% but it was really nice and warm the whole day. at about 60% there is one last peace where it climbs a bit uphill there the voltage drops usually to 110V if I don't take care. The cell voltage then is about 2.7 low an 2.9 high. Actually close to what you see. Just with the difference that I'm not able to drive faster then 50km/h at this time. to keep it short. It's not cell voltage that starts the reduction it's the overall Voltage. 110V is somehow the threshold. If it is reached. It feels like the Bike is turned off until it is again above 110V. I guess this describes it the best. So now sommer is comming and the bike is now doing much better then last week. but still, something is wrong. I wait now for the PCAN-Bus Adapter, to see what information I can read out with it. thanks for your help heavendenied. I really appreciate it. ah, yes by the way, I'm far away from those thresholds you mention. I think the problem with your cells is that most of them are "weak". I had a second cell-pack and managed to get the best of them together in one pack. if i do a test ride with vectrix-diag and laptop on board i can see that only a few cell (the older ones) are those with the low voltages under load. Most cells are having voltages near the high cell. So the overall voltage on my pack is higher and only gets unter 110V if it is nearly empty (3-4 bars). I think you may have an older MC Firmware. On NiMh bikes the power was reduced on voltages lower than 110V and maybe this was also on the early Li+ Firmwares. But I#m also sure that your Cells already have degraded and may have only about 30Ahrs left so you may not get a significant higher range with newer software but only a later power reduction. Thank you very much for sharing your expiriences with me. Finaly I have had the possibility to measure how much energy it is charging in one cycle. The last 5 days the electricity meter displayed between 2.7kWh and 3.2kWh which from my perspective seems to be alright. I agree that the overal capacity of the cells has already degraded to about 30Ah. That would mean if I go from 130V, I should still have about 3.9kWh left (If my mathematics is not too bad). I'm eagerly waiting for the PCAN-BUS Adapter so I eventually can read out the Firmware and what else it will display. My last Test-Ride was about 40Km with nearly no hill-climbing. I got a good speed at about 80km/h but as soon as the overal Voltage came to 110 Volts. The power was reduced. It is really as if the motor is turned off. As soon as the Voltage is back above 110 Volts the power comes back. So, when the road goes up a hill, it means it's like the motor is turned off and on and again off and on. From what you have written so far, meanwhile I'm quite sure either the firmware is still for NiMH or it's just too old. I will update the post as soon as I have more data from the Firmware. A few days ago i drove my vectrix till i git a Low-Cell Warning. That happend with 3 bars left. At that moment i had an overall voltage of 108V and HiCell 2,93, LoCell 2,43. Load was about 30A (driving up an "hill" with about 40km/h). After driving i had overall 122, HiCell 3,17, LoCell 2,77. I charged 4,63kWh after that and read out 35Ah with Vectrix Diag. So one thing with your scooter is the "faulty" firmware, wich reduces the power under 110V but the other thing (and i think that really is the bigger problem) is that all cells have degraded very much. Using the values you got out of the energy meter the cells have only about 25Ah left. Maybe with another firmware you could get 1 or 2 Ah more out but than the first cells will drop under 2,5V and the scooter will reduce power dramaticly because of the LoCell ( you won't be able to drive more than about 10km/h). I'm a bit confused after I looked at the installed Firmwares. But on the Firmware Tab, it shows a NiMh Charger. Is it possible that the charger was not updated with the Li+ Package? What Firmware do you recomend? Charger: Since I'm sure it is a silver charger. I don't know where to get the correct firmware from or do I have to replace it? Could I do the conversion by myself? Is it possible that it's not a good idea to install the EVPS Firmware on a Silver charger? Well, I guess I can send it to the bin then unless there's an easy way to reprogram it. I will restart the charger and BMS tomorrow and see if I am able to reprogram, but still I don't know with which firmware. sorry, maybe its to late because i just wanted to warn you to never use a EVPS (gold) Firmware on a ESD Charger (silver)... As far as i know it can not be recovered. As far as i know a correct conversion made by Vectrix authorized dealers allays included the change of the charger because Vectrix never released a Li Firmware for ESD chargers. With the Help of Jonathanm I was able to reload the charger Firmware by installing the firmware while the bike was just starting up. Unfortunately, it seems I have now other issues with my bike as well, which seems not to be related to the charger. -	After starting up the bike, I don’t get any informations from the BMS. -	When I connect the power plug The fan of the charger starts up but there is no change on the Instruments. So actually at the moment I’m a bit concerned about the other electrical parts. I hope there is nothing seriously damaged. Yep, it seems I'm from bad to worth. I think that this problems could be caused by the wrong firmware. You now have aNiMh Firmware on a Li Bike with BMS so maybe the CANBus is little "confused". Did you try the firmware from Dugan? I think this is the only Firmware available for free that could maybe fit to your configuration. You are right I should have done screenshots... That's how I do it in my daily work. But somehow I was too sure in the begining, that this is just a smooth upgrade and ignored it. Shame on me!!! I know the Motor Controller was MCR2042-1, the BMS was R54 the Instrument Cluster was Rev. D (8000-00809_01_D.s19). The only Thing I’m really unsure is the Version of the Charger and the ICM in the begining. Unfortunately the charger is the one I should have noted! So I guess I will open a ticket with Vectrixparts. Maybe they are able to help out remotely. Or can tell me what to to. I apologize for bothering you, I am new and unable to find the right place to post my questions about information on a scooter bought by a friend of mine who doesn't speak english. The only information we have about this scooter which is brand new but doesn't work is Liberty 8000W. This appears to be a first-series e-rider Puma maxi Scooter, still with the original Sevcon controller. The first ones off where ridden with mainly BMS problems (a faulty BMS wiring had beeen proposed by the BMS manufacturer...). You will find an email address to contact in the "Contact us" page of the website, maybe longtime VisForvoltage members Amoyee or Mountain Chen can answer your questions. Thank you MERoller, for answering this question. I was close to Mountain Chen as well but was not quite sure. I have a quick status update. So it seems I crashed my MC when I did the Firmware Updates. Maybe I have to go back to school, to learn how to do a proper firmware update. Anyway. I ordered a lowlevel reprograming for my MC at Vectrixparts and am waiting now for the pickup. The good thing out of this mess is, I learnd already a lot about my bike. Even if it was the hard way. With this Firmware I was able to charge the batterie. to what voltage should the cells be charged? Is 3.5V per cell in order or should I only charge to 3.2V? So, now I hope the pickup is done soon, and the reprogramed MC delivered, Am waiting eagerly to ride again with my vectrix. 3.5 to 3.6 is fully charged voltage of LiFePO4 cells. 3.2V is only the nominal voltage which this chemistry can have at anything between 20 and 80% of charge. Does the dugas firmware work well? 3.5 or 3.6v is the correct charging voltage. Gp lifepo4 cells are bad and will last little. Regen braking as a little flakey sometimes, but otherwise I've had no problems with it. I have not had the chance to ride the bike yet, because my MC was still not picked up by vectrixparts. I really hope to have this fixed soon.